A well maintained and easy to use Knowledge Base is a great way to empower your customers to find answers on their own, and ease pressure on your support teams by reducing the incoming support emails and live chats. 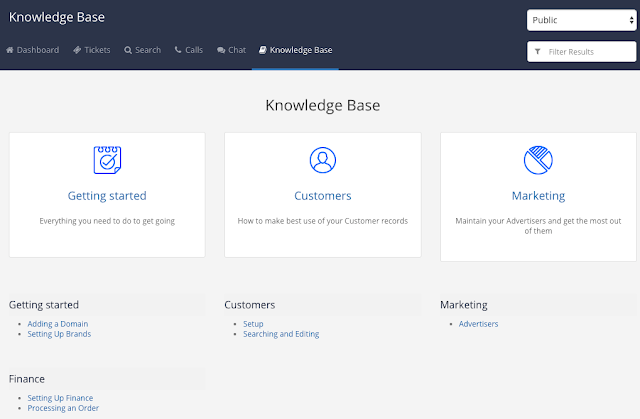 We wanted to make viewing the Knowledge Base and maintaining it as quick and easy to achieve as possible so have updated our Knowledge Base feature. This will open on the view of the Employee Knowledge Base by default, and you will see a drop down in the top right allowing you to switch to viewing the Public Knowledge Base or the Affiliate Knowledge Base.